Asthma is a long-term chronic condition of the airways that causes a cough, chest tightness, wheezing and in some cases serious breathing problems. Asthma is caused by a mixture of environmental (such as dust, smoke, air pollution, allergies, mold, flu and cold air) and genetic factors. There are several ways you can reduce the risk of asthma. Many think it’s not safe for people with asthma to exercise because it could trigger asthma symptoms such as breathing problems, wheezing, coughing and chest tightness. However, according to a study carried out in 2012 by Kristin Carson (Senior Research Scientist at The Queen Elizabeth Hospital in Birmingham), asthmatics who exercise on a regular basis are no more likely to have asthma attacks than those who don’t exercise at all. Exercising improves cardiovascular fitness which in the long run can reduce asthma symptoms. It will also help keep your BMI below 30. Allergies have always been known as a major trigger for asthma attacks. Is it essential to know what you’re allergic to. Allergens trigger about 80% of all asthma attacks. The best thing you can do is avoid the things that you’re allergic to. Dust is a common cause of asthma symptoms. Try to vacuum everything including your mattress and pillows weekly. It’s also a good idea to use HEPA air filters. Mold and moisture can trigger asthma attacks. It’s advisable to keep your house humidity below 45%. Wash your bathroom weekly with natural products that are efficient against mold, such as baking soda and white vinegar. Fresh air is very important. However, it can be a little tricky as it’s not a great idea to keep the windows open for a long period of time due to outdoor allergens like pollen. A good air conditioning system is a great idea. 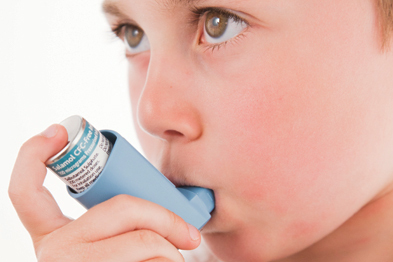 Regular check-ups will help prevent asthma attacks. You might want to go to the doctors every 3 months or so. Make sure you pick up your prescriptions for preventative treatments. Finally, try the tips explained above and remember not to become complacent as complacency is a major cause of asthma deaths. We would love to hear your story so please don’t hesitate to leave your thoughts in the comments section below. Are there any other things you do to reduce the risk of asthma attacks? Top 5 Reasons – Why You Should Consider Liver Cleansing?